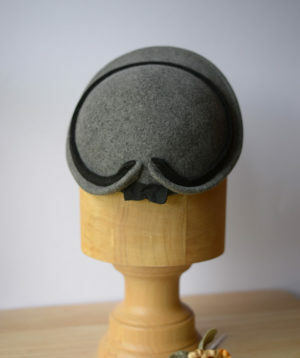 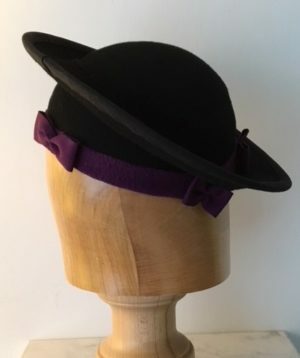 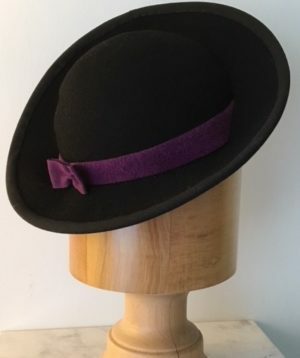 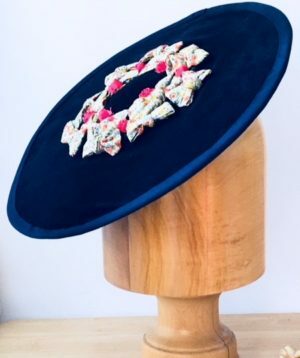 Another example of a lowered crown on a Hannah hat. 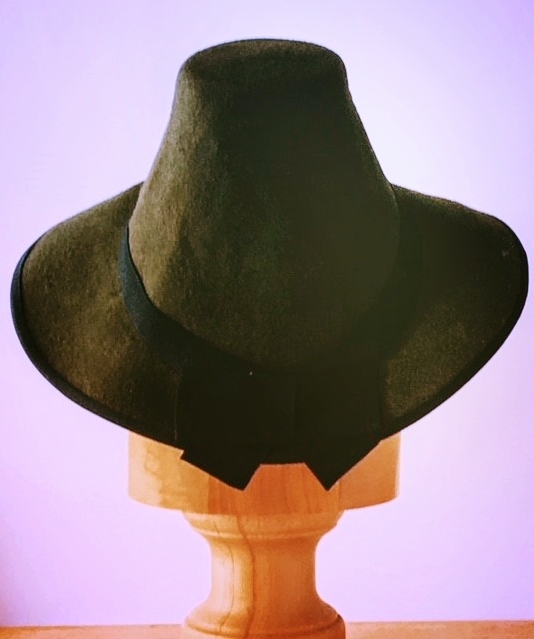 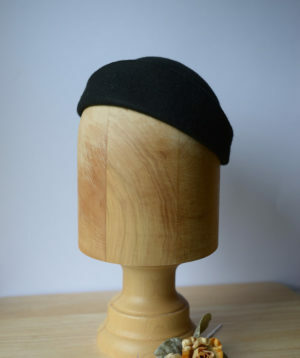 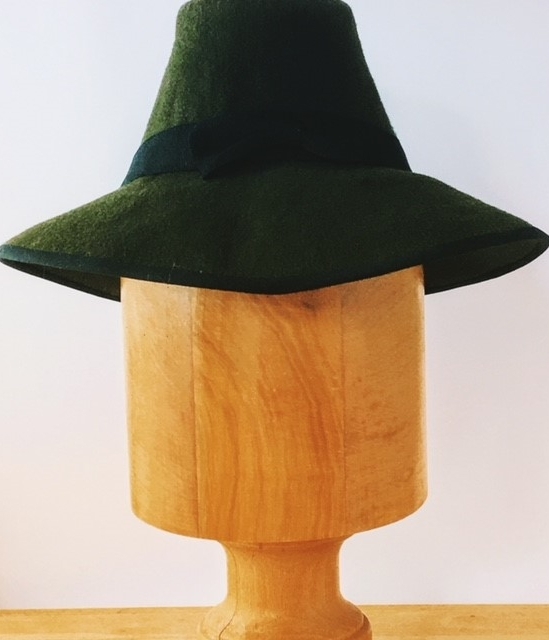 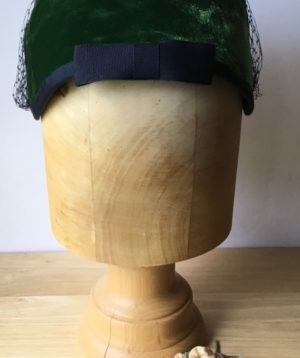 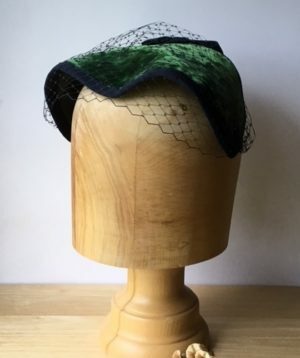 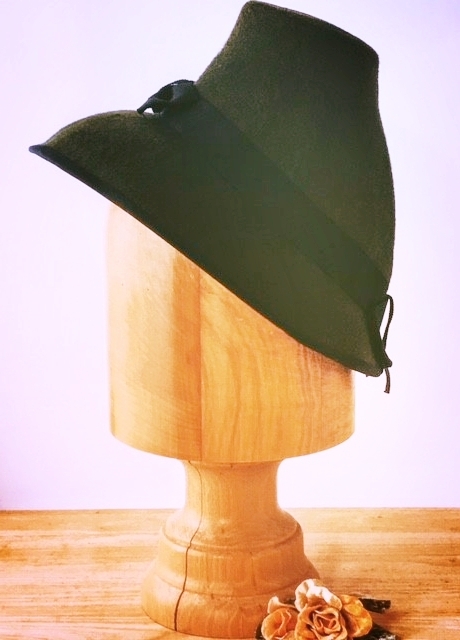 Olive green felt with black grosgrain ribbon hat band, rim band, and bows to front and rear. 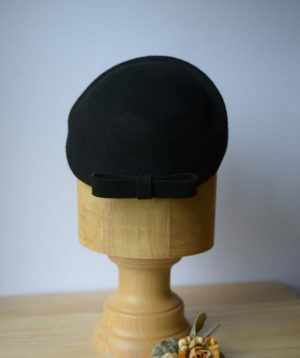 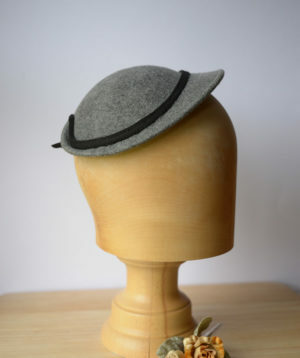 stiffened inside with millinery buckram and finished off with MInivers Vintage signature hat liner.